Thinking about a day trip or weekend excursion and not sure where to go? Tired of the city and all the noise and busyness? Step off the hamster wheel, unplug the laptop and travel off the beaten path to the smaller towns of Illinois; chock full of history, outdoor adventure, delicious food specialties and much more. The historic, quaint towns can help you appreciate your modern conveniences, de-stress, unwind and allow you to meet locals that live a completely different way of life. Visit an old-fashioned village that was created by German immigrants in 1852 and has retained its charm. Located just south of St. Louis, MO on the Mississippi River Bluffs, there are fun events, historic attractions, taverns, quaint restaurants and antiques shopping. Cozy accommodations with today’s modern luxuries make it a relaxing getaway weekend destination. Time to disconnect, no technology needed! Enjoy the Apple Butter Festival held each fall at the at the restored 1859 rock mill where you can learn to make apple butter in Maeystown. Other fun events to visit are the Oktoberfest Arts, Crafts, Antiques and Food Fair and Old-Fashioned German Christmas. After a visit to Maeystown, you’ll feel like you really time traveled! The historic Mermaid House Hotel was built in 1830 by Captain Lyman Adams. He named the hotel for the mythical creatures he claimed to have seen at sea. Charles Dickens stayed at the Mermaid House Hotel in 1842, and later wrote in his book American Notes about it. Mermaid House was added to the National Register of Historic Places on December 4, 1975. Dixon is a beautiful old river town and is the Petunia Capital of Illinois. Along the Reagan Trail, the late former President of the United States Ronald Reagan lived here in Dixon as a youth beginning in 1920. The Ronald Reagan Boyhood Home is significant as Reagan was nine years old at the time and in grade school. The family moved from the house but they remained in Dixon throughout the former president’s formative years. The building was listed on the National Register of Historic Places in 1982. Things to do in Dixon include: Ice cream socials, wine tastings, free pontoon rides, annual bike rides and a visit Lowell Park on the Rock River where a plaque presented to Reagan by the Dixon Park District for 5+ years of service as lifeguard was found in the old bath house. The story goes that Ronald saved 77 lives while lifeguarding at the Park. About two hours west of Chicago and often compared to New England with splendid Victorian homes, antique shops and tearooms. In Mount Carroll is the Timber Lake Playhouse (Illinois’ oldest professional summer-theatre company) or visit Raven’s Grin Inn (a year-round haunted house) for an unusual adventure. Shop ‘til you drop: Check out the flea market, held the first and third Saturday of the month, in downtown Mount Carroll. Standing between 20 and 35 inches tall, Huff’s Miniature Horses are tiny horses that used to be displayed in circuses and carnivals. This unique breed of horse are raised, trained, bred, sold, and enjoyed as pets. Plan to call ahead to visit the Huff farm. Located about 1 hour southwest of Chicago, there is a historic downtown district located on the I&M canal. Beginning in Chicago and ending in LaSalle, IL the 96 mile canal was the first link between the Great Lakes and the Mississippi River built between 1836 – 1848. There are many fun outdoor events for the whole family or reunion groups looking for a weekend activity outside of the big city. Grundy County Corn Fest is one to explore during late summer. Distinctive shops and numerous restaurants, including the best french country market held the 2nd Saturday from May to October selling everything from farmers market fare to antiques; variety of artisans and homegrown produce, organics, & herbs. Three French Hens Market, named one of the best in the Midwest, where foodies can enjoy farm fresh meat and artisanal cheeses, fresh baked pastries, Amish breads & butters, old fashioned kettle corn & yummy candies. Named by Joseph Smith, the Mormon influence here is very noticeable. For history buffs you can explore historic buildings; there are self-guided driving tours as well as wagon tours. The Nauvoo Historic District has been beautifully restored and many prominent LDS founders once lived here, including Brigham Young, who eventually moved his flock west to Utah. One hour northwest of Chicago, this town appeared in movies Groundhog Day and Planes, Trains and Automobiles. The opera house and other buildings are listed as part of Distinctive Destinations for 2007 by the National Trust for Historic Preservation. Amazing typewriter connection, a trend that is coming back with some of the younger hipster writers. In 20th century, Woodstock had become “Typewriter City.” Home to both the Oliver Typewriter Company and Emerson Typewriter Company, Woodstock built more than half the world’s typewriters by 1922. Now a mecca for live music in McHenry County, you can hear classical, folk, rock, country and steel band with national and international favorites visiting throughout the entire year. 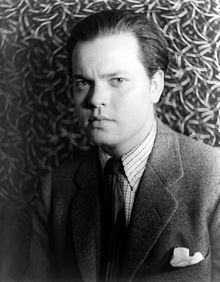 Significant town in that Orson Welles, a famous resident, lived there and annual festival is held in his honor. Near Galena, in rural northwestern Illinois near the Iowa border. Apple River is located six miles north of Apple River Canyon State Park, which features a deep canyon for hiking and picnicking. Explore The Millville historic site which was at the junction of the Apple and South Fork Apple River, until the remaining town was swept away by a massive flood in 1982. Located on historic Stagecoach Trail, once an actual stagecoach route between Chicago and Galena, until the railroads came in, Apple River area now showcases a beautifully landscaped farm called Oak Hill amid rolling hills, perfect for weddings and events plus a historic church and one room schoolhouse. Definitely no Wi-Fi in buildings back then! Five distinct shopping areas in historic Long Grove are filled with cute boutiques, tea houses, wineries and restaurants. Just 35 miles from Chicago, you can spend a nice afternoon to enjoy a lunch or dinner overlooking the Mill Pond, with a leisurely stroll afterwards. Known for delightful candy confections, the town boasts Long Grove Confectionery Co., Ma & Pa’s Candy and Long Grove Popcorn Shoppe. A visit to your dentist may be necessary! Chocolate Festival and Strawberry Festival are annual events held in May and June and Apple Fest is held in September. In southern IL, this river town, rich with history of water transportation at the meeting of the Mississippi, Missouri and Illinois rivers has a haunted past. Noted to be extremely haunted are the infamous McPike Mansion and Milton School. Featured on television shows on the Travel Channel and Syfy Channel, walking tours of Downtown Alton are available, followed by visits to haunted sites in town offering explanations to the spooky phenomena. Local residents are raising grass-fed organic beef for 3 years and are now taking orders; pick up your order and enjoy a visit to Stockton, a gateway to the Galena area in Jo Daviees County. Free of added growth hormones and antibiotics for nearly the same price or even less than at the grocery store, this beef is highly nutritional. Avoid beef that has been fattened on a feed lot with growth hormones and given antibiotics. Enjoy other locally grown products by checking out the complimentary guide to area farmers’ markets, farm stands. The Sycamore Historic District, with over 200 architecturally appealing homes that has made the National Register of Historic Places is a fantastic weekend walking tour. 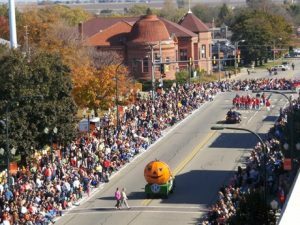 Each year, the Sycamore Pumpkin Festival is held with carving contests, pumpkin pie, caramel apples and other fall foods from local vendors. To burn off all the calories, the Sycamore 10K Pumpkin Run is now going in its 38th year. 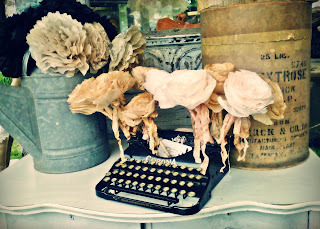 Fun Girls trip or Family scrapbooking weekend at the Paper Doll House. From Friday afternoon through Sunday there are scrapbooking treats and personal surprises. All-inclusive fee includes lodging, meals, and use of equipment for the entire weekend. Visit important local history at the Lincoln Douglas Debate Site, and then go outdoors on a part of the Grand Illinois Trail. Jane Addams Trail was named for the humanitarian and public health pioneer born and raised in nearby Cedarville. This popular trail has crushed limestone surface that may be used by hikers, bicyclists, snowmobilers, and cross-country skiers. This multi-use recreational trail offers picturesque views highlighted by 17 miles from Tutty’s Crossing Trailhead to the Wisconsin state line, crossing over 22 bridges, including the historic Van Buren Bridge erected in 1885 and a covered bridge outside Orangeville. The trail navigates northern Illinois through woods, prairies, wetlands, creeks, rock embankments and rolling farmland. Located a few miles west of Collinsville, Illinois lie the archaeological remnants of the central section of the ancient settlement known as Cahokia. What remains of one of the most sophisticated prehistoric native civilizations north of Mexico are now preserved at Cahokia Mounds State Historic Site. Within the 2,200-acre tract are fascinating explorations into a former civilization, ideal for school and educational groups. Enjoy the decks or patios at one of the many riverside restaurants, stay in B & B’s overlooking the river with soaring bald eagles flying in the winds aloft. Pere Marquette State Park has a lovely lodge and guest rooms or pitch a tent and sleep under the stars. Several ferry rides are available in season; watch out for the flying catfish! All of Illinois can be explored for fun, history, outdoor adventures and great food. Living in the Midwest gives opportunities to see towns in different seasons so you may want to go back and visit these spots again and see the town and its surroundings in a fresh new way. This list will give you the head start you need to book a mini-getaway or plan a more extended trip. Enjoy the seasons! ThatsAThing.com Copyright © 2019. All Rights Reserved.